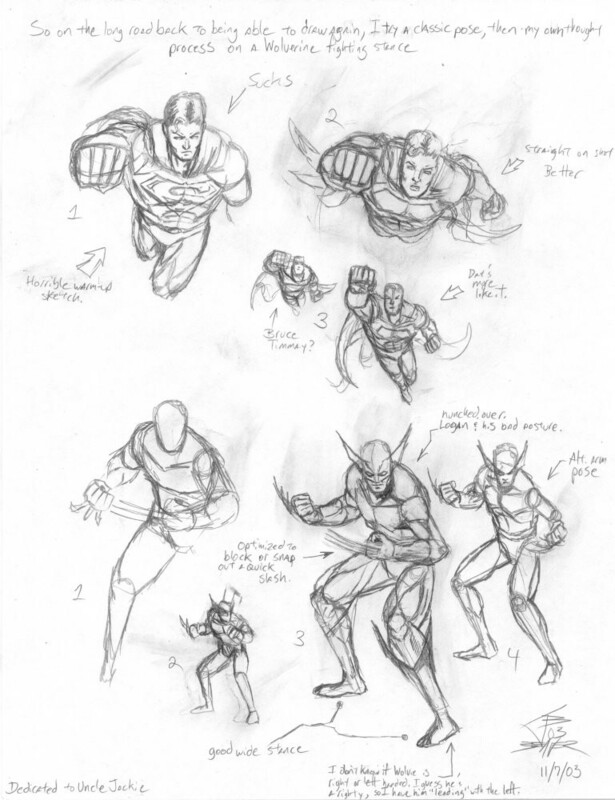 Just sketches of Superman and Wolverine here. These are two of those characters that look horrible if you don't get their sense of posing right. Sure, you can put your own twist on things. But people have known these characters for years and all attempts to sidestep making them look Supermannish or Wolveriny lead straight to faliure. Not that mine are all that great, but that's just what I was working towards. Sadly, this was around the time that my Uncle Jackie passed away. Easily one of the best uncles and coolest cats to ever walk this or any other planet.